Muslims – Jesus was a prophet, but nothing more. Mormons – He is A god. Christadelphians – Jesus was more than a man, but less than God, and could sin. Atheists – He was just a man (if he did even exist). Jehovahs Witnesses – he was the arch Angel Michael, also a lesser god. Orthodox Christian – He is fully God and fully Man. He is Deity. This blog post is not on the Trinity but rather what the bible teaches regarding who Jesus is. There are some important questions to answer when working out this issue of Jesus’s deity. Are there any references to Jesus creating the world? Are there any references to Jesus being God? Is it impossible for God to be fully God and fully Man? Who do we go to for salvation? To find out all the answers we have to solely look at the scriptures. If you are a Jehovahs Witness you will no doubt say that this “God” is Jehovah, as an Orthodox Christian – we would agree, but this is because we believe Jehovah and Jesus are the same, were are as Jehovahs Witnesses believe they are different. We therefore need to look at some other scriptures in order to work out who created the world. Colossians 1:15, 16 – The Son is the image of the invisible God, the firstborn over all creation. For by Him all things were created, both in the heavens and on earth, visible and invisible, whether thrones or dominions or rulers or authorities– all things have been created through Him and for Him. So according this verse it was THE SON who created the heavens and the earth as well as everything in the heaven. Sadly this is how the same verse reads in the Jehovahs Witness bible. He is the image of the invisible God,+ the firstborn of all creation;+ 16 because by means of him all OTHER things were created in the heavens and on the earth, the things visible and the things invisible,+ whether they are thrones or lordships or governments or authorities. All other things have been created through him+ and for him. The word “other” has been deliberately inserted in this verse, even though in the Greek it would not have this word – this is so this verse can fit closer to the Jehovahs Witness teaching. However even in the Jehovah Witness bible you see that it was indeed Jesus that created the heaven and the earth, now go back to Genesis 1:1. So even the Jehovahs Witness bible shows that Jesus created the heavens and the earth (Colossians 1:15,16) and indeed so did God! (Genesis 1:1). So right from Genesis 1:1 we see Jesus’s deity. The fact is though we see right from the birth of Jesus people worshipped as their “God with us (Matt 1:23). So in Matthew 1, we have the baby being called Emmanuel, the God with us and in Matthew 2, we have people worshipping him. How can Jesus be anything other than the God we hear about in the old testament? Matthew 28:17 “they saw him, they worshipped him. Matthew 8:2,3 – And behold, a leper came to him and knelt before him, saying, “Lord, if you will, you can make me clean.” And Jesus stretched out his hand and touched him, saying, “I will; be clean.” And immediately his leprosy was cleansed. Hebrews 1:6 – Angels are instructed by God to worship Jesus. Matthew 14:33 – After Jesus had calmed the storm, the disciples worshipped Him saying He was the Son of God. Luke 24:52 – Even after He had ascended back to heaven, they worshipped Him. Would it have been proper to worship Jesus if he was not God? Acts 10:25,26 – Cornelius fell down to worship Peter. Peter forbade it saying that he himself was just a man. God deserves worship, but men do not. Luke 4:8 – And Jesus answered him, “It is written, “’You shall worship the Lord your God, and him only shall you serve.’then that the bible commands only that God should be worshipped, and we see that lots of people worship Jesus. We see then that the bible commands only that God should be worshipped, and we see that lots of people worship Jesus. Although a Jehovahs Witness will say “well you obey Jesus, you don’t worship him”…the reality of it is that when Jesus was on the earth people where worshipping Jesus. We can clearly see then the true deity of Christ by the fact that people did worship him. One of the errors Jehovahs Witnesses fall into is that because Jesus was called first-born that meant he was the first created. The fact is though the term “first-born” had a different meaning in the bible as to someone literally being the first to be born. Psalm 89:20, 27 says, “I have found David My servant; with My holy oil I have anointed him . . . I also shall make him My first-born. However David was actually the youngest in the family! This (First-born) is a title of pre-eminence. Yet according to Gen. 41:51-52 Ephraim is actually born second! Although a Jehovahs Witnesses will use John 3:16 as a proof text to show that Jesus is God’s literal son, the fact is that the bible shows something different. 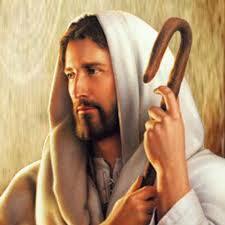 Well as an orthodox Christian I only believe in ONE God, also what do you with Jesus being called Everlasting Father? Also does this mean that the Arch Angel Michael is also a Mighty God? So we see that Jesus is called God and not only that we see that by his actions. I have heard it be said that it is impossible for God to be fully God and fully man. I do not pretend to understand exactly how it works, but how is anybody this side of eternity supposed to understand exactly how God works? All we can do is follow what his text says. All things have been committed to me by my Father. No one knows the Son except the Father, and no one knows the Father except the Son and those to whom the Son chooses to reveal him. “Come to me, all you who are weary and burdened, and I will give you rest. Take my yoke upon you and learn from me, for I am gentle and humble in heart, and you will find rest for your souls. – Matthew 11:28,29. Jehovahs Witnesses, Jesus declares that salvation does not belong in a religion, in a church, or a kingdom hall – it exists only in him. As a Jehovahs Witness I can assure I always felt burdened “Am I doing enough hours? Am I behaving in a way that I should to make sure I don’t get zapped at Armageddon? Am I good enough for God?” When I read that without the my Watchtower specs on, I knew that Jesus had actually already paid for my sin, and all I need to do was repent to be forgiving. No matter how good you THINK you are, you are sinner and no matter how good you try to be, salvation will only exist if you put your faith in Jesus. You may think you have already done this, but ask yourself – have you ever prayed to Jesus? If you haven’t then how could he have given you? How can someone forgive you who you have never spoken to? Also, just think about what Jesus had done…he died take away the sin of all the believers, can someone who is “an angel” really do this? John 14:26 – Jesus said “ I am the WAY, and THE TRUTH, and the Life no one comes to the Father but through me”. Jesus therefore we see from scripture is fully man and fully God, and it is him we go for salvation.